With your Student or team Name, School, copy of your code, name of teaching librarian. 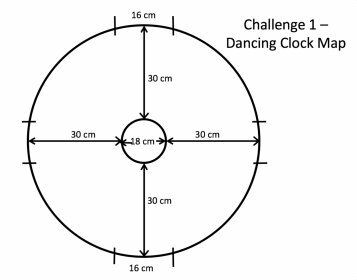 We ask all schools to submit the dancing robot challenge before completing the MAZE challenge. They can be completed at the sametime if you are new to CodeMyRobot. Those who complete the MAZE by May 30th will get another challenge. both challenges will end June 15th. Using thin white pieces of paper make the walls of the maze. Travel through the maze without touching the sides, then turn around and come back to the beginning , do a 360 and stop. fastest time wins their own robot and 2 more for the library. You can upload as many videosas you want. 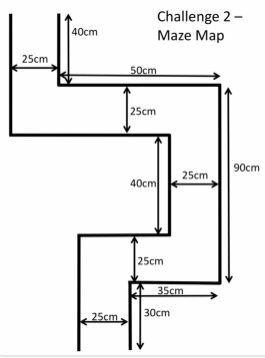 The Maze, size the pathway as follows : the path is 10 inches wide at all points, the first straight path is 12 inches long, then turn right for 14 inches, then turn left for 15 inches , turn left another 30 inches, then turn right for 15 inches, turn around and return to the beginning. see picture on twitter . Ask your librarian teacher to use the upload video, time and code , With your Student or team Name, School, copy of your code, name of teaching librarian. and time.